Carpet sets $33 million world record! 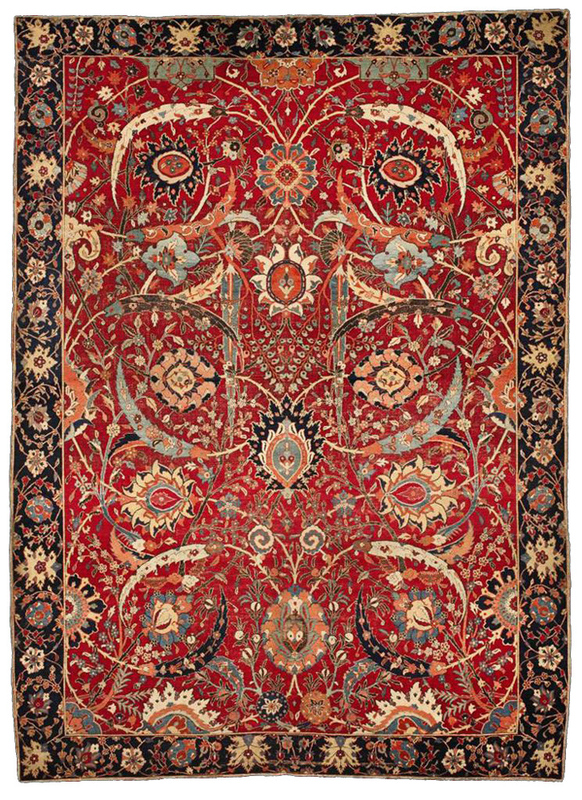 A rare 17th century Safavid-era Isfahan carpet sold at Sotheby’s in New York last week for a staggering $33 million. The anonymous bidder, who participated by phone, paid $33,765,000 for the 17th-century Persian piece, which came from the bequest of William Clark, the industrialist and U.S. senator who donated more than 200 works of fine art and rugs to the Corcoran collection upon his death in 1925. Measuring 8′ 9″ x 6′ 5″ and woven over 350 years ago under the rule of the Safavid dynasty (1501 to 1722) This Isfahan carpet is known as the ‘Sickle-leaf’ design, which depicts plants blooming within the four seasons of the year.